STOCK YOUR VAULT: New DVDs & Blu-rays for 07/25/2017! July is over Vault Dwellers, and it is closing out in a big way! This week we get a good dose of genre fare with a lot of old classics getting a new lease on life in glorious high-definition! Shout Select kicks things off with THE COMPLETE BILLY JACK COLLECTION, which features BORN LOSERS, BILLY JACK, THE TRIAL OF BILLY JACK, and BILLY JACK GOES TO WASHINGTON! Also worth noting are The American Genre Film Archive's release of THE ZODIAC KILLER, Warner Archives' BATMAN: MASK OF THE PHANTASM, Severin Films' BEYOND THE DARKNESS, and Blue Undergrounds Limited Edition release of THE STENDHAL SYNDROME! There's a lot of other cool stuff, so be sure to scroll down and scope it them all out! 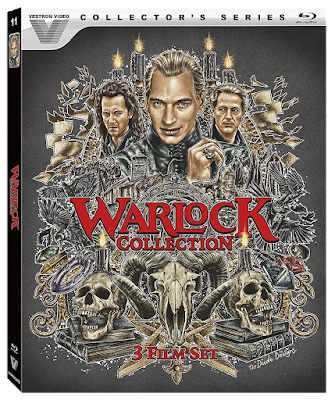 Vestron Collector's Series conjures up the WARLOCK trilogy on Blu-ray! WHEN THE ARMAGEDDON COMES, YOUR INNOCENCE WILL END! 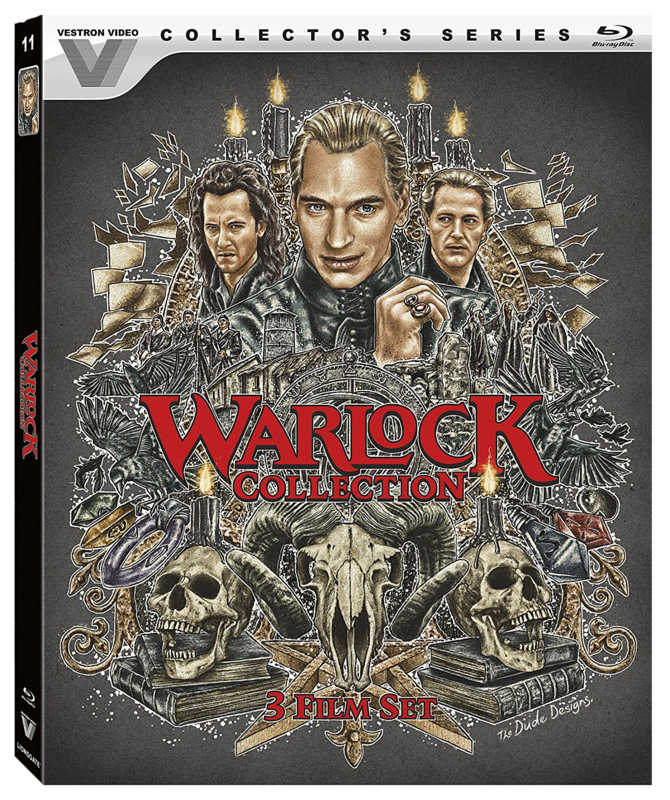 VESTRON COLLECTOR'S SERIES ADDS THE "WARLOCK" TRILOGY TO ITS ROSTER! I never thought I'd see the day that WARLOCK would come to Blu-ray, let alone its sequels! This new Vestron Collector's Series release looks awesome, and I can't wait to add it to my own personal Blu-ray archives! WARLOCK Synopsis: A warlock (Julian Sands) flees destruction and time travels from the 17th century to "modern" times. However, a witch hunter has followed him to the future and is hellbent on stopping the man-witch from "uncreating" the world as we know it! NEW! Audio Commentary with Director Steve Miner! NEW! Isolated Score Selections/Audio Interview with Author Jeff Bond! NEW! Satan’s Son - An Interview with Actor Julian Sands. NEW! The Devil’s Work - An Interview with Director Steve Miner. NEW! Effects of Evil - Interviews with Make-up Effects Creators Carl Fullerton and Neal Martz! Vintage Featurette with Make-Up Effects Creators Carl Fullerton and Neal Martz. Vintage Featurette with Visual Effects Supervisors Patrick Read Johnson and Robert Habros, Animation Supervisor Mauro Maressa, and Matte Artist Robert Scifo. WARLOCK II: THE ARMAGEDDON Synopsis: Julian Sands returns as the titular Warlock! Modern day druids train two youths to battle the evil spellcaster and stop him from collecting six runes that will allow him to free Satan and create Hell on Earth! NEW! Audio Commentary with Director Anthony Hickox! Extended Vintage Interview Segments with Actor Julian Sands, Director Anthony Hickox, and Actress Paula Marshall. WARLOCK III: THE END OF INNOCENCE Synopsis: A college student inherits a derelict house. With the help of some friends, she arrives to clear out some family heirlooms, only to be attacked by the Warlock! The Vestron Collector's Series' WARLOCK COLLECTION is now available wherever Blu-rays are sold! You can grab your copy now (which should be around $25 - $30) at AMAZON, BULLMOOSE, or DIABOLIK DVD! Arrow Films delivers the definitive release for Stuart Gordon's RE-ANIMATOR on 08/08! ARROW VIDEO HAS A GOOD HEAD ON THEIR SHOULDERS… AND ANOTHER ONE ON THEIR DESK! GET THEIR LIMITED EDITION RE-ANIMATOR BLU-RAY ON 08/08! Stuart Gordon's RE-ANIMATOR is one of my all-time favorite Horror films (and H.P. Lovecraft adaptations)! The script is smart and witty, and the cast is fantastic, with Jeffrey Combs stealing the show as Dr. Herbert West. I've already purchased this movie several times in various formats, but it looks like I'll have to double dip once again because this Arrow release looks incredible! • NEW! 4K restorations of the Unrated and Integral versions of the film! • Digipak packaging featuring newly commissioned artwork by Justin Erickson! • Collector’s booklet featuring new writing on the film by writer Michael Gingold! • Re-Animator – the original 1991 comic book adaptation, reprinted in its entirety! • Audio commentary with director Stuart Gordon. • Audio commentary with producer Brian Yuzna, actors Jeffrey Combs, Barbara Crampton, Bruce Abbott, and Robert Sampson. 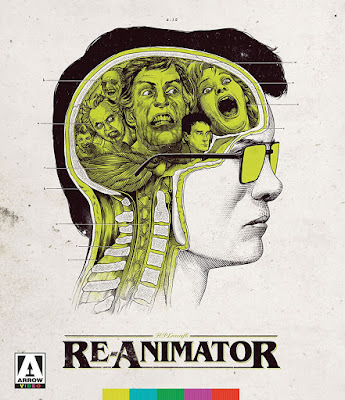 • Re-Animator Resurrectus – Documentary on the making of the film, featuring extensive interviews with cast and crew. • Interview with director Stuart Gordon and producer Brian Yuzna. • Interview with writer Dennis Paoli. • Interview with composer Richard Band. • Music Discussion with composer Richard Band. • Interview with former Fangoria editor Tony Timpone. • Barbara Crampton In Conversation – The RE-ANIMATOR star sits down with journalist Alan Jones for this career-spanning discussion. • A Guide to Lovecraftian Cinema – A brand new featurette looking at the many various cinematic incarnations of writer H.P. Lovecraft’s work! Whoa! Two cuts of the film (both restored in 4K! ), tons of interviews, commentaries, and documentaries?! I NEED THIS! Arrow Video's Limited Edition RE-ANIMATOR is now due out on August 8th, and can be purchased immediately from AMAZON, BULLMOOSE, or DIABOLIK DVD! Severin Films shows you what is BEYOND THE DARKNESS on 07/25! WATCH "BEYOND THE DARKNESS" AND ROCK OUT TO THE SOUNDTRACK WITH SEVERIN FILMS' NEW BLU-RAY RELEASE! I've got a love/hate relationship with the films of Joe D'Amato, so it's not too shocking that I'm unfamiliar with BEYOND THE DARKNESS! 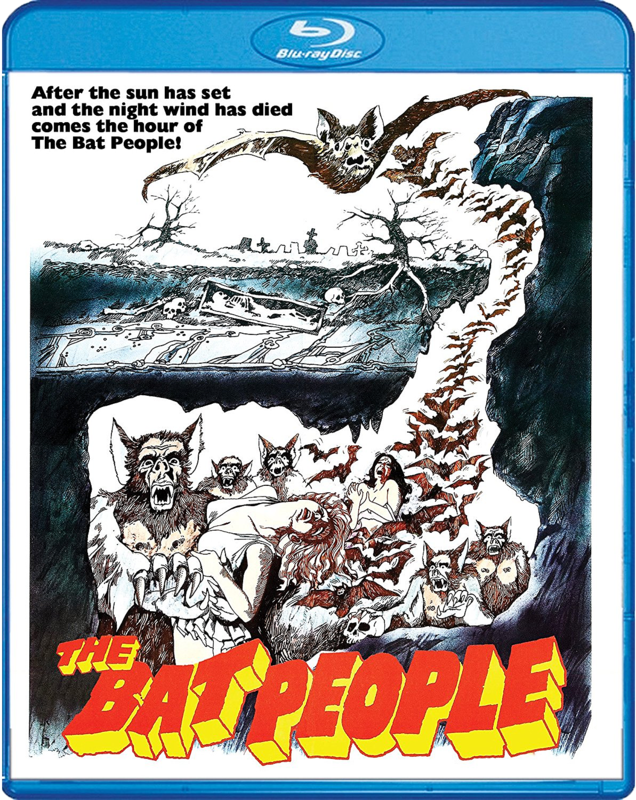 However, this new 2-Disc set from Severin Films looks almost too good to pass up! 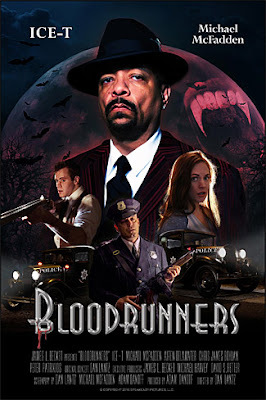 Synopsis: It has been denounced as “revolting” (SplatterDay.com), “stomach-churning” (Classic-Horror.com) and “shower-prompting” (Fandor), while simultaneously acclaimed as “bone-chilling” (Chas Balun), “truly classic” (The Spinning Image) and “a must-see” (Horror.com). Now experience “D Amato’s masterpiece” (BloodyDisgusting.com) like you’ve never seen or heard it before! Cinzla Monreale (THE BEYOND) and Franca Stoppi (THE OTHER HELL) star in this psycho sickie, where a widowed husband decides to stuff his wife's corpse and turn it into a doll, leading him down a rabbit hole of further insanity and depravity! Severin is proud to present this sleaze-fest (which is also known as BURIED ALIVE and BUIO OMEGA) from director Joe D’Amato (ANTHROPOPHAGUS), restored in HD for the first time ever! Joe D’Amato: The Horror Experience – Interview with director Joe D’Amato! The Omega Woman – Interview with actress Franca Stoppi! Sick Love – An Interview with actress Cinzia Monreale! Goblin Reborn Performs "Buio Omega" Live 2016! STOCK YOUR VAULT: New DVDs & Blu-rays for 07/18/2017! Hey Vault Dwellers! It's once again time to STOCK YOUR VAULT with new DVDs and Blu-rays! This week is pretty light on genre releases, so you can save up some dough for all the cool stuff coming out over the next two months! But I'd be remiss if I didn't make mention of the handful of cool titles you may just want to add to your constantly growing collections! 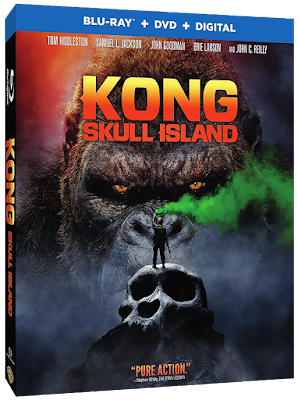 Universal's awesome KONG: SKULL ISLAND makes its debut on Blu-ray, as does Scream Factory's THE BAT PEOPLE, and Arrow Video's 2-Disc Special Edition of STORMY MONDAY. Umbrella releases Guillermo del Toro's THE DEVIL'S BACKBONE to Blu-ray (not sure about region coding on this disc though), and Kino Lorber gives us a few classic action films such as FREEWAY and THE LAST OF THE FINEST. There's a few other titles of note, so be sure to scroll on down to catch the full list of this week's DVDs and Blu-ray discs! Neil Blomkamp's OATS STUDIOS wants to experiment on YOU! OATS STUDIOS WANTS TO TEST THEIR SHORT FILMS OUT ON YOU, AND TURN SOME OF THEM INTO FEATURE-LENGTH FILMS! While his films have been hit and miss (i.e. DISTRICT 9, ELYSIUM, and CHAPPiE), I'm personally a fan of director Neil Blomkamp. And I'm equal parts curious and excited about his latest film making project: OATS STUDIOS! Essentially, Neil set up his own movie studio with the intent of creating "experimental short films." And if those films generate enough interest, there is a very real chance that they could be turned into feature-length movies! The intent is to create "proof of concept" content to see what sticks, and so far, there's a lot of promise here! Submitted for your approval, here are several of the shorts from Oats Studios including FIREBASE, RAKKA, and ZYGOTE! Behold the future(?) of genre cinema Vault Dwellers! I was pretty impressed with these shorts and look forward to seeing what else Neil and his team churn out! To keep up to date on their future releases, follow Oats Studios on Facebook and Twitter, and subscribe to their YouTube channel as well! Also feel free to comment below about this trio of shorts and sound off on whether you liked them or not! Umbrella Entertainment's August 2, 2017 genre releases! UMBRELLA ENTERTAINMENT BRINGS CANNON CLASSICS AND FORGOTTEN HORRORS TO DVD & BLU-RAY ON AUGUST 2ND! I've recently become acquainted with the folks at Umbrella Entertainment and I'm super happy to begin sharing all of the great titles this Australian label is cranking out! Coming in the first week of August, Umbrella has one heck of a lineup that you Region Free collectors will not want to miss out on! Scroll on down to see what they are releasing to DVD & Blu-ray! Synopsis: The future of humanity is left in doubt as the twins of Paul Atreides become embroiled in the turbulent political landscape of Arrakis. 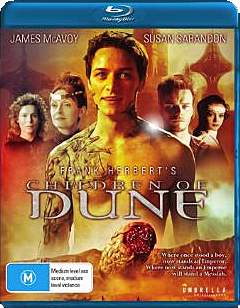 Born with special abilities and superhuman prescience that not only empowers them but places them in considerable jeopardy amongst their kind, Leto (James McAvoy, ATONEMENT) and Ghanima (Jessica Brooks, SUPERNOVA) continue the fight against the malevolent forces of Baron Harkonnen. With the looming threat of civil war amongst the Fremen and Princess Wensicia’s (Oscar winner Susan Sarandon, DEAD MAN WALKING) own devious plot to assassinate the Atreides heirs, their survival is paramount to ensure the future of the universe for generations to come. DEATH WISH II Synopsis: In an attempt to put his grisly past behind him, Paul Kersey (Charles Bronson) has moved to Los Angeles to begin life anew. After a violent altercation with a bunch of street thugs, Kersey is once again a marked man. A legacy of violence is unleashed as Kersey sets out to track down the five thugs who have turned his life upside down and provided him with an insatiable drive for vengeance. 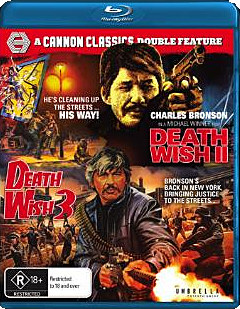 DEATH WISH 3 Synopsis: Paul Kersey (Charles Bronson) arrives in New York to visit an old friend, but is horrified to find him the victim of a brutal attack. Kersey snaps back into his old ways - gearing up as the silent avenger once more - ready to strike back against injustice and wage bloody war against the city's growing population of thugs and reprobates. Directed by Michael Winner (DEATH WISH), also starring Jill Ireland, Vincent Gardenia , Laurence Fishburne, Martin Balsam and Ed Lauter and featuring a dynamic soundtrack by Led Zeppelin's Jimmy Page, DEATH WISH II and 3 continue the legacy of no-holds-barred one-man justice, where vengeance is the name of the game! DEATH WISH II: UNRATED DIRECTOR'S CUT & DEATH WISH 3! ACTION II: 52 minute making-of featurette with Behind the Scenes footage of DEATH WISH 3, RUNAWAY TRAIN, and HOUSE! DEATH WISH II: THE ORIGINAL THEATRICAL CUT! DEATH WISH II: THE TV CUT! DEATH WISH II: GREEK VHS CUT! KADAICHA Synopsis: An Aboriginal elder with the power of life or death over those who disobey the laws of the Aboriginal people. When the unsuspecting residents of a suburban housing development encounter strange occurrences in their neighborhood it is only a matter of time before someone upsets "The Kadaicha Man." 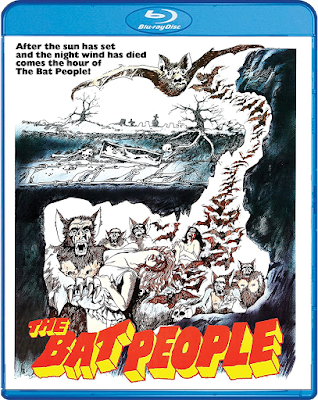 Discovering that their homes were built atop a sacred Aboriginal burial site, a group of teenagers are subject to nightmarish dreams about an eerie cave with sinister rock paintings and the brooding evil that dwells within. When they awake, a souvenir of their nightmare rests on their pillow – a stone destined to haunt them to their very core and place them in mortal jeopardy. INNOCENT PREY Synopsis: Cathy (P.J. Soles) is suspicious of Joe's (Kit Taylor) need to work late every night. Discovering Joe's car parked outside of a motel, Cathy watches in horror as Joe slashes a prostitute to death with a razor. Joe is sent to the state hospital for the criminally insane and Cathy attempts to rebuild her life in Australia. Soon after her arrival, Cathy becomes the object of obsession for her landlord who observes her every movement, ready to cause all manner of mayhem to her newfound freedom. Looking Back on Innocent Prey: A Conversation with P.J. Soles. 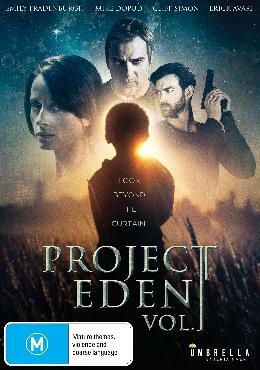 Synopsis: PROJECT EDEN is the first volume in a planned two-part duology. It is the brainchild of Australian Writers/Directors Ashlee Jensen & Terrance M. Young. ​Shot across three countries, including the U.S, New Zealand and Australia, the film stars Stargate SG-1 and SyFy Channel alumnus Mike Dopud, Cliff Simon and Erick Avari as well as Aussie Talents Anna Mcgahan (UNDERBELLY, HOUSE HUSBANDS), Paul O'Brien (HOME AND AWAY) and Mansoor Noor (CLEVERMAN). ​Aided by an ex-military officer, a young woman becomes an unwitting fugitive after discovering that her son's catatonic state may be at the heart of a global conspiracy. Multiple making of featurettes: The Concept, Journey to Eden, Building a Set, Sounds of Eden. Waipu - A Day on Set. All of these titles will be available on Tuesday, August 2nd, and you can order them directly from UMBRELLA ENTERTAINMENT'S website now! Scream Factory adds controversial thriller WINDOWS to their ever-expanding catalog! 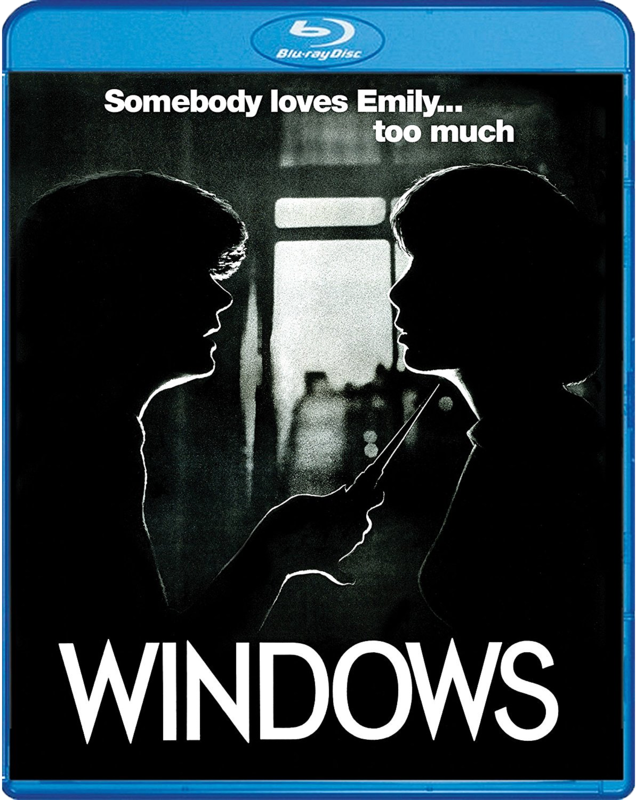 ENTER A WORLD OF LUST AND DEPRAVITY WITH SCREAM FACTORY'S BLU-RAY RELEASE OF "WINDOWS!" Scream Factory is having stellar year, and continues to add more and more interesting titles to their archives. Case in point, WINDOWS, a psychological thriller that I never even knew existed until recently! It sounds pretty enticing (would probably make a great double feature with their Blu-ray of THE CRUSH), and is yet another stepping stone in the neverending quest to collect all of their releases! Synopsis: The withdrawn and recently divorced Emily (Talia Shire, ROCKY) lives a lonely existence. But after enduring a bizarre assault at the hands of a stranger, Emily finds both comfort and friendship in her neighbor Andrea (Elizabeth Ashley, THE CARPETBAGGERS). As Emily contends with the fact that her attacker still stalks the streets, she slowly discovers that there is more to her new acquaintance, Andrea, beyond her helpful façade – something that becomes a window to the dark soul of depraved obsession. Directed by acclaimed cinematographer Gordon Willis (THE GODFATHER, ANNIE HALL) and featuring a score by the legendary Ennio Morricone (THE GOOD, THE BAD, & THE UGLY, THE HATEFUL EIGHT, et al.) WINDOWS is a dark and controversial thriller of lust and psychological pain. NEW! High-Definition Transfer Of The Film Taken From The Interpositive! NEW! In Conversation Interview With Actress Talia Shire And Producer Mike Lobell. NEW! Interview With actress Elizabeth Ashley! 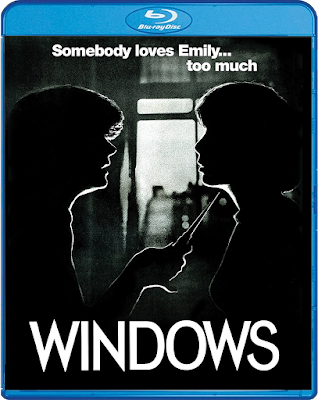 WINDOWS is currently available wherever Blu-rays are sold. Pick up a copy today from AMAZON, BULLMOOSE, DIABOLIK DVD, or directly from SHOUT! FACTORY's website! Lord Buckethead: The Origin of the Outlandish Political Candidate Revealed! Truth be told, I haven't a clue. I do not know the identity of the man in the black cape, leather suit, and absurdly tall helmet that earned 249 votes during his campaign for a seat in Britain's Parliament. But I do know the origin of the character that this man is playing! Have you ever had one of those moments where you are researching something online, and then find yourself wandering across the vast expanse of the internet? You start out reading up on one subject, then twenty minutes later, you're pouring over miles of text about something else entirely? Well that happened to me last night. As I was preparing a post about the upcoming 3-DEMENTIA film fest taking place next weekend, I started doing some digging on a pair of films in the lineup, namely ROTTWEILER and HIT THE ROAD RUNNING. Both films were directed by Worth Keeter, and feature Earl Owensby in a lead role. I thought to myself "Just who is this Earl Owensby?" so I clicked on his name and brought up his IMDB page. (As you may just done.) As I poured over his filmography as a Producer, I noticed a listing for a film called HYPERSPACE. Curious, I clicked over to that page, and as I perused the list of actors and characters, I stopped dead. One name on the list of characters stood out immediately, and I began to laugh. That name of course, was LORD BUCKETHEAD! Thinking it was pure coincidence, I decided to look up more info about Britain's hilarious political candidate. Sure enough, I immediately found that Lord Buckethead represents a political party called GREMLOIDS (one of several alternate titles for HYPERSPACE), and was "based on" a "Hyperspace character." This blew my mind Vault Dwellers, so I did some additional digging about HYPERSPACE. Released in 1984, this film was a parody of STAR WARS, featuring an opening text scrawl, and Lord Buckethead, who is clearly a spoof of Darth Vader. With a platoon of Jawa knock-offs at his command, Lord Buckethead arrives on Earth (after a miscalculation), and scours the immediate area for "the Princess" and "the transmissions." So naturally you may want to see this film for yourself, if only to confirm that I'm not making this all up. Unfortunately, it is currently out of print and physical copies are a bit hard to find. But, in the words of Ian Malcolm, "Life.... finds a way." So enjoy HYPERSPACE below, thanks to the efforts of my podcasting cohost "Silent" Steve, and YouTube uploader Christopher Kim. As for the enigmatic Lord Buckethead, he's currently lurking somewhere in England, awaiting the day that he can add Prime Minister to his résumé, right beneath "space lord." 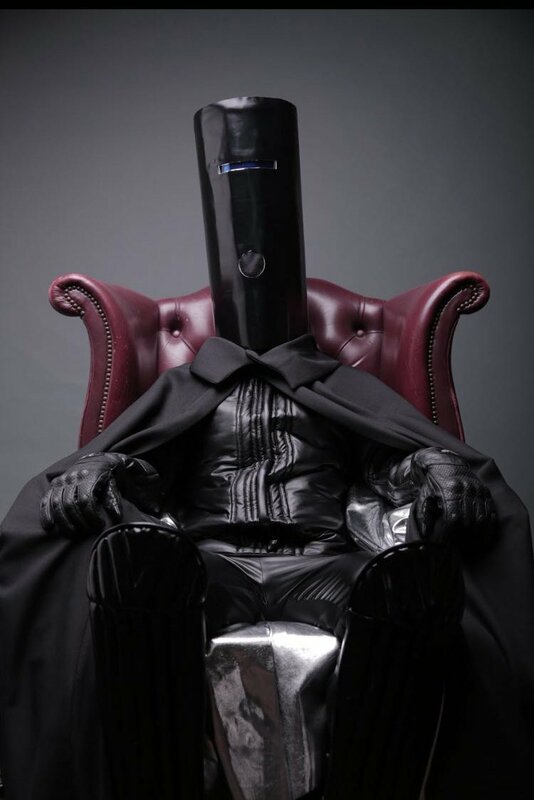 To stay up to date on Lord Buckethead's further political ambitions, follow him on Facebook, Twitter, and YouTube. Exhumed Films' 3-DEMENTIA Film Fest invades Philadelphia on July 16th! 3-Dementia event poster. Artwork by Justin Miller. ON JULY 16TH, EXHUMED FILMS TAKES YOU TO THE THIRD-DIMENSION WITH AN AMAZING LINEUP OF 35MM PRINTS! Jason picks himself up by the bootstraps after his defeat in the previous installment, and heads to Higgins Haven to hack up horny "teens" and stoners. Filled with eye-popping effects (literally! 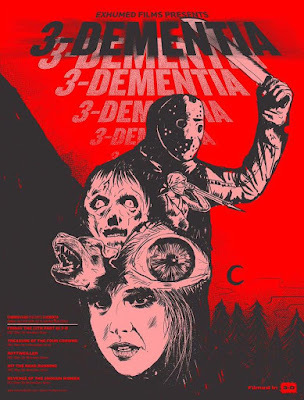 ), FRIDAY THE 13TH PART 3D is a solid sequel that is probably most notable for having Jason don his trademark hockey mask for the first time. Directed by Worth Keeter (who will be in attendance! ), this film takes place in the small town of Lake Lure. When a pack of experimental Rottweilers escapes from a nearby military installation, it's up to the local sheriff to protect the townsfolk from the murderous canines! I'm always down for some killer animal cinema, so this movie sounds like it is right up my alley! Feature #4 is another Worth Keeter vehicle! When Beau Jim Donner returns to his hometown, he ends up butting heads with a corrupt tycoon that has been buying up land and intimidating the locals. This of course leads to an abundance of car chases and crashes that should look pretty damned awesome in 3D! Heavily influenced by SMOKEY AND THE BANDIT (and to a lesser extent, THE DUKES OF HAZZARD), HIT THE ROAD RUNNING promises to be a smashing good time! After wowing the audience at the last Ex-Fest with DYNASTY, the Exhumed gang is delivering another classic martial arts film in startling 3D! After being assaulted and degraded by a gang of bandits, a group of women master the martial arts to seek revenge on their attackers! Tickets are still on sale for 3-DEMENTIA, but are going fast. So if this sounds like something you'd love to attend, GET YOUR TICKETS NOW, and maybe I'll see you there! Also, if you do make it to this event, you will have the ability to purchase early-bird tickets for Exhumed Film's 24-Hour Horrorthon, which takes place in late October! Keep that in mind because the Horrothon always sells out! 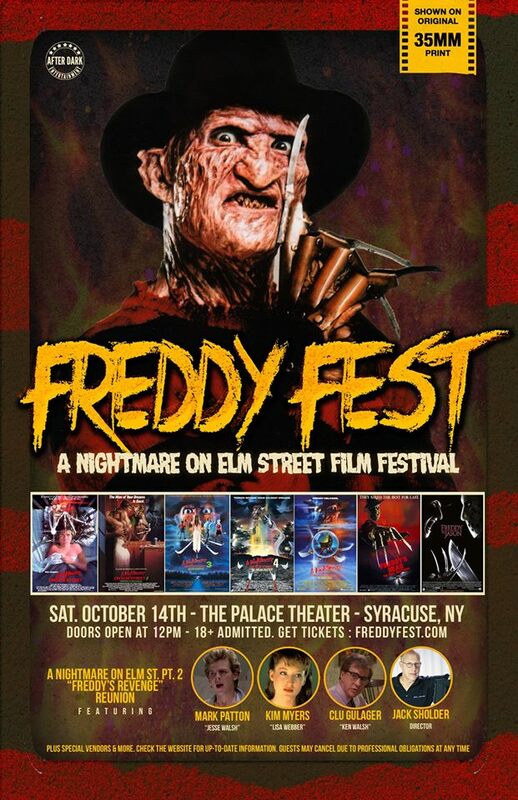 ONE, TWO, FREDDY-FEST IS COMING FOR YOU.... IN MID-OCTOBER! THIS OCTOBER, WATCH THE NIGHTMARE ON ELM ST. FRANCHISE IN 35MM AND MEET CAST MEMBERS FROM "FREDDY'S REVENGE" AT THE PALACE THEATER! Yes, you read that right Vault Dwellers: On Saturday, October 14th, YOU will have the chance to revel in a day of Krueger, with The Palace Theater's FREDDY FEST! And as if this event couldn't be cooler, there will be a NIGHTMARE ON ELM ST. 2: FREDDY'S REVENGE reunion Q&A panel, featuring stars Mark Patton, Kim Myers, Clu Gulager & director Jack Sholder! Fans will also get a chance to meet the stars and get their autographs, plus other special guests are promised to be announced in the coming months. Ticket pre-orders are live now at TicketFly, and range from $25 to $65, depending on your preferences. $25 gets you in all day for the event, $50 buys your all day ticket and a limited 18x24 event poster, and $65 nets you the Elite Elm Street VIP Package! As a VIP, you get in thirty minutes before everyone else to pick your seat and get first dibs on the vendors area, a pair of vintage FREDDY'S DEAD 3-D glasses, the previously mentioned poster, a catered meal, and a chance to win a replica of Freddy Krueger's glove! STOCK YOUR VAULT: New DVDs & Blu-rays for 07/04/2017! HAPPY 4TH OF JULY VAULT DWELLERS! Before you go and celebrate America's birthday, be sure to take a peek at the small roster of new DVDs & Blu-ray discs that are out today! This week's highlights include Arrow Video's 2-Disc Special Edition release of DOBERMAN COP (featuring Sonny Chiba! ), Shout Select's Blu-ray debut of A SHOCK TO THE SYSTEM (featuring Michael Caine), and Scream Factory's all new Blu-ray of WINDOWS. If you'd rather get your indie fix in, there are some cool new titles in that arena, such as BLOODRUNNERS (read my review), BLOOD HUNTERS, ALIENATE, PEELERS, and BETHANY! There are also a slew of region free classic sci-fi and horror double features out this week, as well as a super cool Region 0 import of Ray Harryhausen's SINBAD TRILOGY (officially due out on July 7th)! There's are many other direct-to-DVD (and Blu-ray) titles out today, so be sure to scroll down to view them all! 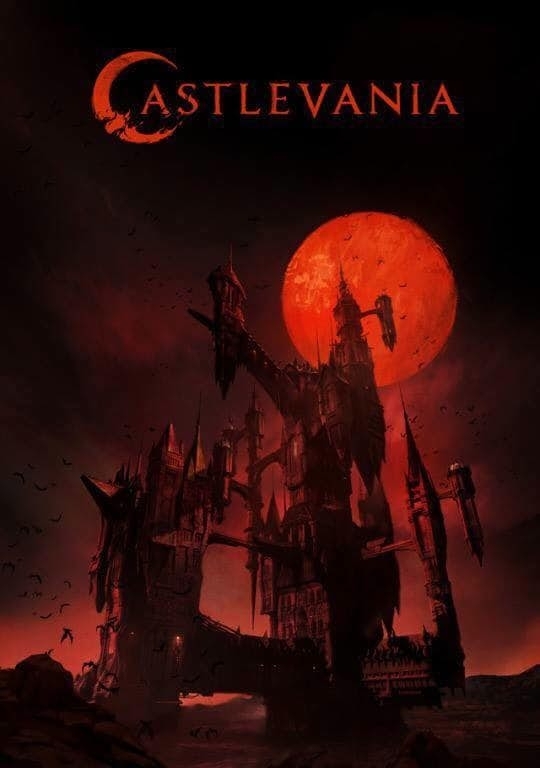 Contains: Dark Spirits, Legacy of Evil, Asylum, Living in Peril, The Dark, The Shadows, Blood Predator, Feeding Grounds, Backwoods, and Netherworld. Adventures of a Teenage Dragonslayer + 5 MoviesContains: Adventures of a Teenage Dragonslayer, Gulliver's Travels, After the Wizard, The Secret Kingdom, Alice of Wonderland in Paris, and The Curious Adventures of Mr. Wonderbird. Contains: The Snow Creature, The She-Beast, Chupacabra vs. The Alamo, Blood Predator, Curse of the Wolf, House of Mystery, Juggernaut, Mesa of Lost Women, and The Horrors of Spider Island. STOCK YOUR VAULT: New DVDs & Blu-rays for 06/27/2017! Ack! Sorry I'm late again Vault Dwellers! Been pretty busy here around Vault HQ lately (and not just because of Friday the 13th: The Game), so here I am playing catch-up yet again! Last Tuesday was a veritable goldmine of genre titles, and in a rare moment, Blu-ray releases outnumbered their DVD counterparts! 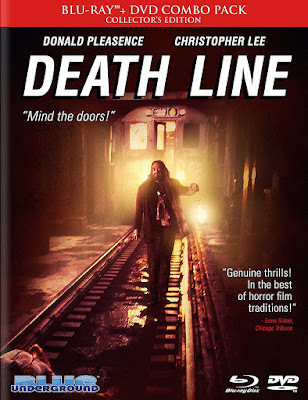 Blue Underground released a fantastic new Limited Edition of DEATH LINE (aka RAW MEAT). 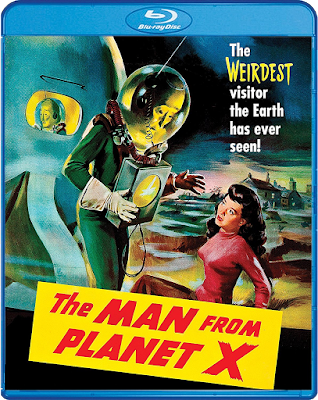 This uncut version of the film was remastered in 2K and features a ton of special features, including audio commentaries, cast & crew interviews, trailers, and more! Also worth noting is Shout Select's new Blu-ray of the long out of print TRESPASS, as well as their impressive PINK PANTHER COLLECTION, which contains all of the good films in that series. Not to be left out, Kino Lorber released the rest of the Pink Panther films they hold the license to, including CURSE OF THE PINK PANTHER, SON OF THE PINK PANTHER, and INSPECTOR CLOUSEAU. But (once again) it is Scream Factory that won the week with no less than four new titles on Blu-ray, including THE ANGRY RED PLANET, THE AUTOPSY OF JANE DOE, THE EVICTORS, and THE FOUR SKULLS OF JONATHAN DRAKE! There were a lot of other notable releases last Tuesday, so to see them all, scroll on down! Contains: The Pink Panther, A Shot in the Dark, Return of the Pink Panther, The Pink Panther Strikes Again, Revenge of the Pink Panther, and Trail of the Pink Panther.